These letters were written by Corporal Benjamin Franklin Treadwell (1842-1911), a 22 year-old brass finisher when he enlisted in July 1864 in Company A, 42nd Massachusetts Infantry. He was mustered out in November 1864 after serving 100 days. Benjamin was the son of William Henry Harrison Montgomery Treadwell (1813-1893) and Martha Jane Brackett (1816-1886). The letter is one of a dozen written by Corporal Treadwell that were sold a few years ago by Cowan’s Auctions along with several by his older brother, Joshua Brackett Treadwell (1840-1885), a surgeon in the 5th and 54th Massachusetts Infantry. Corporal Treadwell’s letters were well written, providing nice descriptions of camp life in the 45th Massachusetts while assigned to duty in Alexandria, Virginia. The hottest action he described was attending church, observing a man who accidentally shot himself die of gangrene, and (upping the ante), seeing a man who had served with the enemy return to camp as a spy, get captured, tried as a deserter, and shot. Treadwell took part in several prototypically hard marches during his time under arms, including the one described in this letter to Great Falls, Maryland. The 42nd Massachusetts preserved its identity as a militia unit after the close of its nine months’ service, and in July 1864, was reorganized with some changes in companies and mustered into the service for one hundred days. It was used for guard and garrison duty during the late summer and fall in order that the older and more experienced troops which had been performing this duty might be relieved and sent to the front. The companies which were to constitute the 42nd Massachusetts began to assemble at Camp Meigs, Readville, early in July, and were mustered into the service between the 14th and 22d of the month. On the 24th, the command set out to Washington under Lieut. Joseph Stedman. About this time, Col. Burrell was released from captivity, returned and resumed the command of his regiment at Alexandria. The regiment did guard and patrol duty, one detachment being sent to Great Falls, Maryland, while others were employed in guarding supply trains moving to and from the Shenandoah Valley. 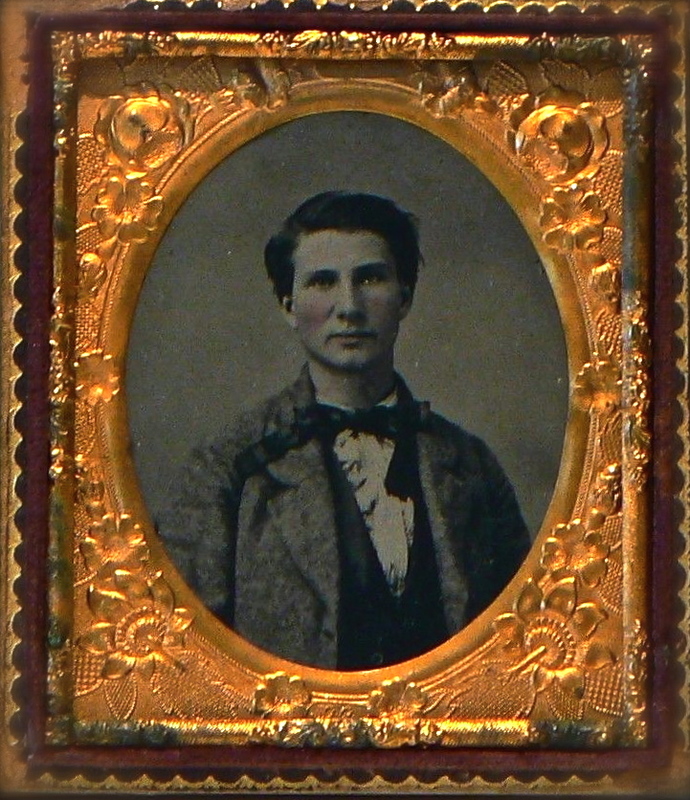 Most of the letters written by the Treadwell brothers were addressed to their sister Martha Jane Treadwell (1843-18xx) who married Alonzo Cummings Grout (1832-18xx) in March 1870 and moved to Rockford, Illinois. 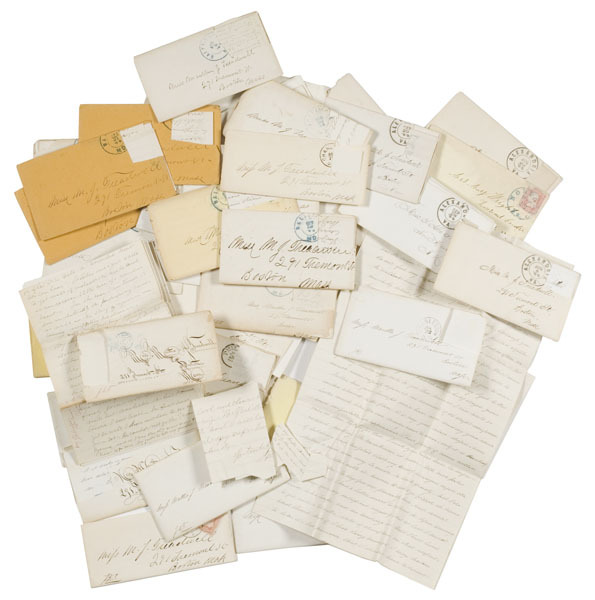 Most of the letters were sent to her address at 291 Tremont Street in Boston, Massachusetts. We arrived here last Friday and are camped on a hill about one mile from the center of the city. The regiment is doing provost and patrol duty in the city. Every morning a certain number of men are detailed with sergeants & corporals to march to the city where they are distributed among the different marshal’s offices, barracks, stables, &c. all belonging to Government. I am on duty today at the Marshal’s Office with six men. It comes my turn about every other day. It is a pretty lazy life lying around this way. All I have to do is to change the reliefs and look out for the prisoners. We had quite a long and rough passage and the boys were very seasick. I am very well and have been so ever since I have been here. It is very hot and we begin to look a little niggerish. Please give my regards to all friends and write me soon. Direct to Co. A, 42nd Mass. V. M., Camp Burrell, Alexandria, Va.
Be sure and write it Mass. 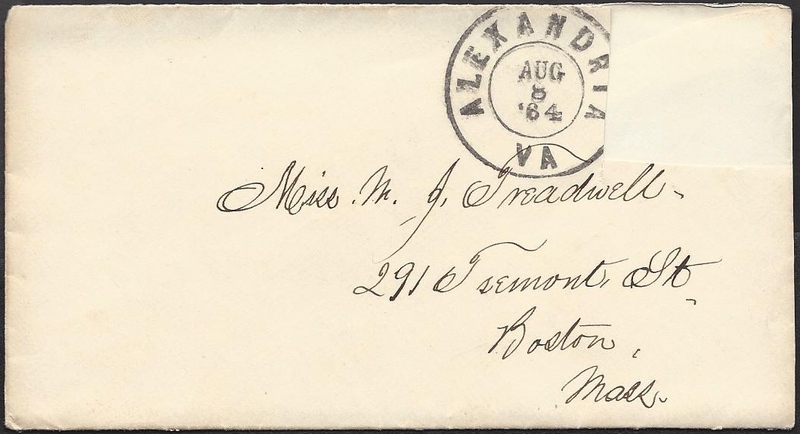 Addressed to Miss M. J. Treadwell, 291 Fremont Street, Boston, Mass. I just received your letter just now and hasten to reply. It does not seem much like Sunday here. I came in from provost duty this forenoon at 10 o’clock just as a large squad of our regiment was going in to church so I did not have a chance to go. After I ate my dinner, I went down to the river — or rather creek (4 ft. deep) to wash my shirt and stockings. This is the only time we have to wash our clothes. I received a paper from you today and a letter from B. yesterday. Ed Coleman wrote to his mother last Sunday but I notice he wrote to Hingham first. He also wrote the other day to a young lady of Church Street whom he told me gave him a very polite invitation to correspond (How are you Nettie). I had I think three like invitations but so far have not accepted. We have had three “right smart” showers in the last 24 hours. We almost had to feed ourselves the week but are beginning to get our rations regular. We have a splendid man for a surgeon. His name is [Albert B.] Robinson but I do not know where he is from. I do not think I ever felt better than I do now excepting a slight cold on my lungs which makes me cough a little. Some of the vets which were here told us that this camp had been condemned twice by the board of surgeons. All that seems to affect our men is diarrhea but I have not been troubled in the least in that way. I think a good part of this is due to my taking care of myself. Give my regards to all the young ladies of B[oston] and tell them I am well and happy. I must draw this to a close as I have got to answer the Dr.’s letter. You need not be anxious about sunstroke as I have been very cautious. I will write to Mother tomorrow. Just received yours of the 22nd. It has been quite a little time since I wrote you but I guess you will excuse it. Last Thursday night at a little past 10 o’clock when we were lying in our bunks having a little chat, we heard the officers going down the company streets calling out, “Fall in here. Fall in here.” We fell in with rifle equipments, 50 rounds of ammunition, haversack, canteen, rubber blanket, and overcoat. We started about 11 o’clock (350 of us) and marched 27 miles to Great Falls (of the Potomac), arriving there at 11½ the next morning (12½ hours), making one long halt of 2 hours and five short halts of about 10 minutes each. I went in with the Regiment. Our company started with about 47 men and got there with 22 — the largest number from any company, your uncle being one of them. Our Captain and 1st Lieutenant are detailed on Court Martials and the 2d Lieutenant in command of a blockhouse. There were only 4 companies which had captains with them as all their detailed men and those on guard were marched upon Sunday night, so our company and 4 others (1 of our companies is permanently detailed in the city) started at 10 o’clock Monday morning and arrived in Camp Burrell at 7½ in the evening, making the 27 miles in 9½ hours, resting 1 hour and 10 minutes. That’s what you call marching. Some of the boys had bad looking feet. Ed C. gave out about 3 miles from home and I found him just as he was about to fling away his overcoat. So I took his overcoat and rubber blanket and Taft took his gun and when we got 1 mile from camp, I took one side of him and Johnny [W.] Staniford the other and helped him in. He could hardly stand up when he got here. I came in without even a blister but pretty tired. But I feel Bully this morning and not as tired as when we arrived at Great Falls although marched back much quicker. That was a big scare about my being sick. I had the chills on Saturday night and Monday I had the fever and H. Talman (who is a detailed orderly in the city) came up to visit the boys and happened to look into our tent and saw me and wrote home to his folks that I was sick. You can imagine how sick I was for I was out and wrote to the doctor the next morning. I have got four letters to write so please excuse me. No more this time. Just got a letter from Mat. Keep your eye peeled out of the window when you read this for J. Towle may come along and think you have got a lawyer.